How to prepare for the IAS Exams 2019? In the initial stage, aspirants preparing for civil service exam are generally confused. Many of them are unsure on how to begin and what to study. They have numerous queries in their mind regarding exam eligibility, exam dates etc. Many are not sure if coaching is a must or not. But wrong guidance can cost any aspirant a lot of time and waste of money. 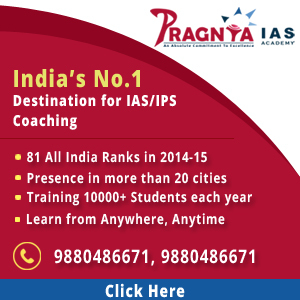 Many coaching institutes are unsure how to properly guide students as per the latest requirements of the Union Public Service Commission (UPSC), leaving the student with poor coaching and low-quality study materials. OUr advice to students is to first go through this website for clarity. Please search for any doubts or topics in our search box and you will get a lot of dedicated pages on the information you are looking for. So instead of asking people around - how to study for civil service exam, please refer to this website made only for you. This tip is for all students irrespective of teh fact whether they choose to go for coaching or decide to prepare for the ias exam without coaching. One of the primary factors that make the Civil Service Exam tough is the exam pattern. It consists of three stages, Prelims, Mains and Interview. Students have to cross each stage to move onto to the next. The level of difficulty increases with each stage. The last stage can also be a tough nut to crack because the UPSC tests not only the aspirant's knowledge and ability to write, but also their mental strength and ability to deal with situations. It requires a special kind of preparation to overcome the UPSC interview stage. Another important feature that adds 'toughness' of the exam is the syllabus, as it covers a diverse range of subjects, unlike many other exams. When we look at the success rate in the IAS exam, one can understand why it is considered one of the toughest exams in India. Every year, lakhs of people take the IAS prelims exam. Out of this, only about 25% emerge victorious and move onto the 'mains'. After the main exam around 15% make it to the interview stage. In the interview stage, the success rate is about 50%. So, the pass percentage in the UPSC exam is less than 1%. UPSC exam can be called tough, if the student follows a strategy and prepare with direction, they can easily crack the exam. Here is the list of tips which can help the students to scale the exam. We hope you will indeed take your IAS Preparations very seriously. The first step towards that is obviously the choice of subjects. Do choose them wisely. Please focus on - how to prepare for upsc, rather than Why the IAS exam is so tough! Choose your Bachelor's degree in such a manner that you may benefit for the IAS exam. If you need a fall back option by doing a BTech. Don't worry. You can still start preparing and getting to know the social subject you wish to take for your IAS exam.